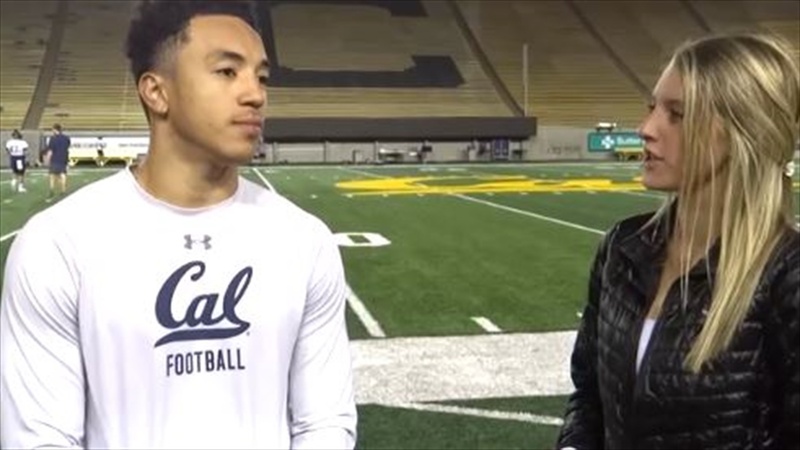 Arriving at Cal unsure if he would be able to play as a freshman, receiver Nikko Remigio has definitely proved himself and others wrong. The 5-10/170 Remigio was the first commitment from his class and has drawn reviews from many so far this season. Remigio claims that there was not solely one reason why he chose Cal. The entire environment as a whole drew him in. Though Remigio was the first of his class to commit to Cal, he felt he didn't play an especially big role helping to build the recruiting class. “I know each guy was selected individually for their specific talents and their contribution to the team. I think that every guy that ended up coming here was somebody who really wanted to be a part of this program. I don’t think it was too much of anything I did. We all genuinely wanted to be here,” said Remigio. Coming from Santa Ana, California, Remigio is about a seven hour drive away from home. He claims that his transition here has been great, but there have been some ups and downs as well. “This is the longest I’ve ever been away from home but every day that goes by, I get more comfortable being here. I love it more and more each and every day,” said Remigio. Remigio, along with Chase Forrest, Matt Rockett, Justin Norbeck, Addison Ooms, and Malik McMorris, attended Mater Dei High School in Santa Ana, CA. Remigio notes that having high school teammates on his current team at Cal, definitely made the transition easier for him. Last weekend, the Bears bounced back after two tough losses and pulled off the win against the University of Washington, 12-10. Remigio states that this win truly helped the mentality of his team. Tomorrow, the Bears will be in Pullman, Washington to face Washington State. According to Remigio, the team is confident, ready to play, and eager to pull off another win. “We have the same mentality going into this weekend. Just, you know, attack it, get on them early, and come out with a win,” concluded Remigio. The Bears are looking for their second straight win against a Top 20 program, with last week's win over #13 Washington and WSU coming in at #10.